A little over a week after Hawaii's Kilauea volcano erupted, The Big Island is now bracing for a series of explosive eruptions which could occur within days or weeks, hurling boulders the size of small cars, creating a giant ash cloud, and oozing even more of the hot magma which has already claimed at least 36 structures and forced thousands to evacuate. Geologists believe the hardest hit by the new activity will be the Leilani Estates in the southwestern Puna district, around 20 miles south of Hilo where all 1,900 residents have already been evacuated. “We are telling people to plan for the worst. They should have a Plan A, a Plan B and a Plan C," said county official Roann Okomura, who helps operate one of the evacuation shelters. 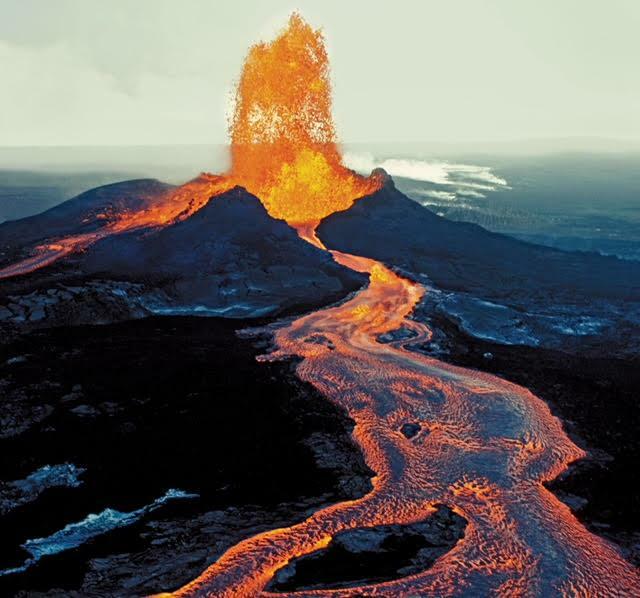 In addition, Kilauea, one of the world’s most active volcanoes, threatens to begin a series of explosive eruptions within days or weeks that could form huge clouds of volcanic smog, or vog, and hurl boulders as big as small cars. -Reuters. Sixteen fissures have opened up on the eastern flank of Kilauea since its initial eruption eight days ago - oozing relatively cool, slow moving magma left over from a similar incident in 1955. 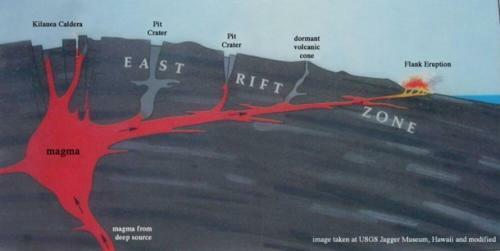 Scientists now worry that fresh magma from deeper within the earth is about to come surging behind it. In other words, what's happened over the last eight days was just "cleaning out the pipes" so to speak. 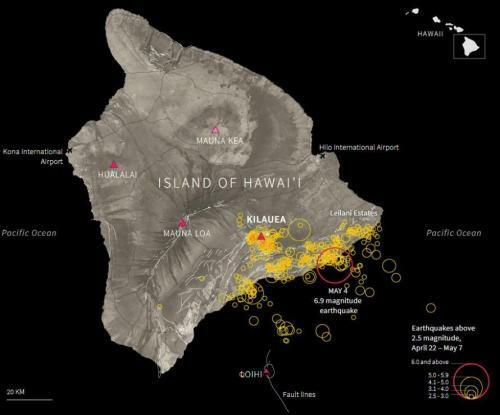 Yesterday we reported on a series of powerful earthquakes which have hit The Big Island since it Kilauea began erupting. 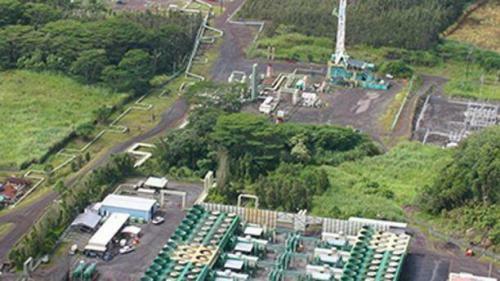 Meanwhile, a new fissure opened up near the Puna geothermal power plant on Saturday, spattering lava less than a mile from the facility. There are still nearly 50,000 gallons of pentane stored at the site, according to Hawaii News Now. Compounding worries is a text message sent to residents of the southeast corner of the island by County authorities warning them of a wind change that would bring rising levels of sulfur dioxide gas, which can be fatal if inhaled in large quantities. Hawaii’s governor has warned that mass evacuations may be required as more fissures open in the ground and spew lava and gas into semi-rural residential areas on the east flank of Kilauea, one of the world’s most active volcanoes. Hawaii Gov. David Ige Asks Pres. Trump to Declare The State as a Major Disaster Area. Over a Thousand Earthquakes Have Hit The Island & Now a New Explosive Event Awaits For The kilauea Volcano as The Lava Drops To Water Level. "Additional designations may be made at a later date if requested by the state and warranted by the results of further damage assessments," the White House added in a statement. Federal Emergency Management Agency (FEMA) chief Brock Long named deputy Federal Coordinating Officer Willie Nunn as the agency's top official overseeing the relief efforts.